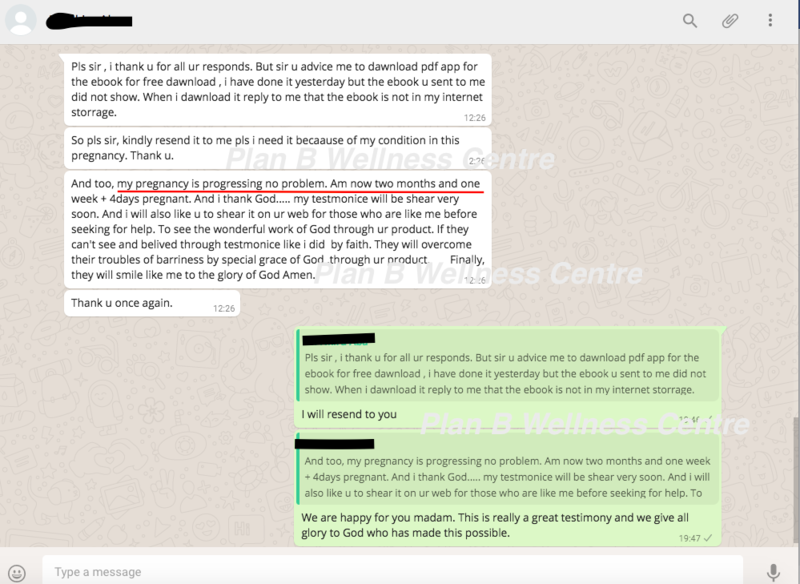 Fibroid Treatment Testimony: Woman Got Pregnant Just 3 Weeks into Her Natural Fibroid Treatment! 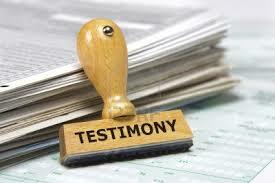 Interesting fibroid treatment testimony! 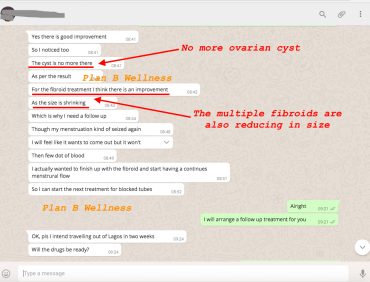 Here is the testimony from one of the users of FibClear Herbal Formula sent to us after confirming that FibClear helped improve her fertility and she’s able to reduce her fibroid and conceived. She’s now over 2 months pregnant. 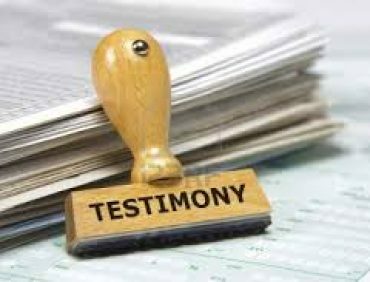 Usually, we do receive testimonies from our clients about their various symptoms disappearing and getting rid of fibroids totally. This comes so regularly that we even can’t keep posting them. But once in a while, we are tempted to share some amazing ones with our other clients and subscribers not for anything but just to motivate them for them to also keep hope alive. Here is the story of a woman from Aba who got our Fibroid Remedy products and just about 3 weeks into the treatment using our natural fibroid herbal products, she conceived. This is after getting married and trying to get pregnant for more than 6 years. 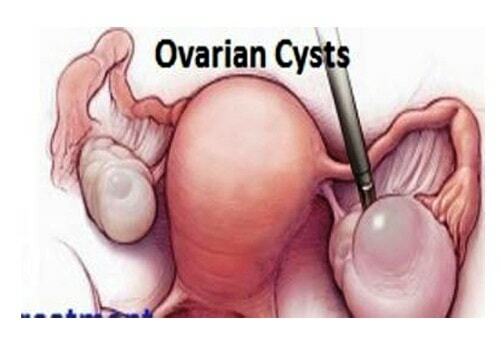 You know what it means battling with fibroids for years coupled with infertility! Consider the pains, the agony and the pressure from family and friends for pregnancy. 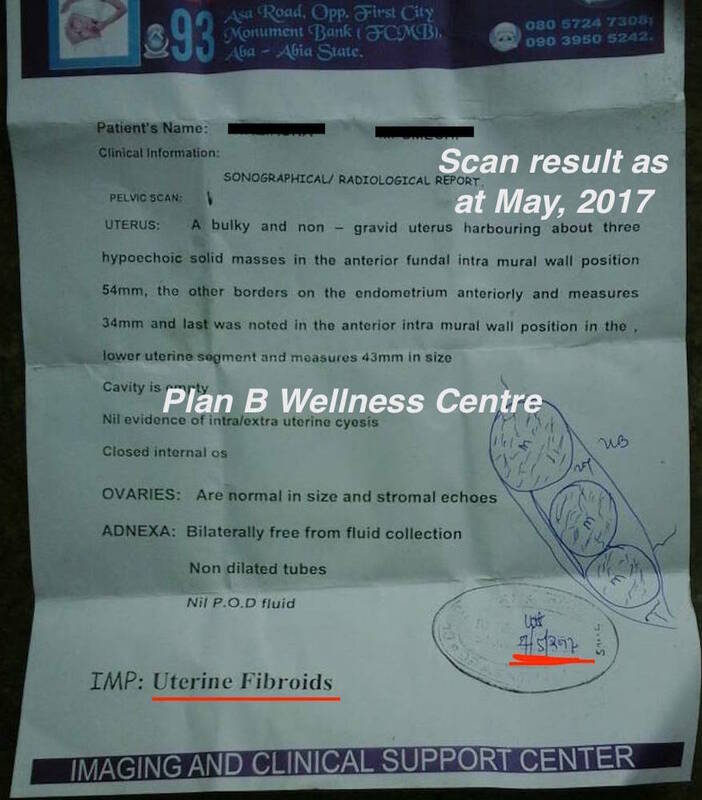 As you can see from the scan, she has multiple fibroids and they are in different locations as well. She actually had issues before she could buy the products. The money is one thing and then how about if she pays and she doesn’t receive her products. Her husband was curious about a lot of things concerning the treatment but we were able to respond to all their questions and enquiries. This lasted for several days. Later, she returned again and paid the money. Started her treatment and all. 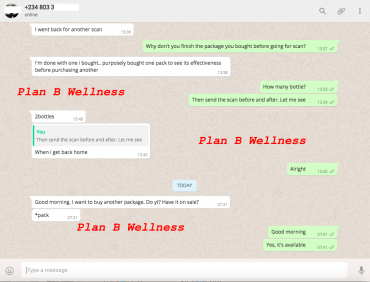 By June, she missed her period and contacted us to know if the products would affect her period and the answer was no but that she should hold on but go for pregnancy test if she doesn’t see her menses after 2 weeks. Her response to the issue of pregnancy was funny as she just laughed on the phone that she was not pregnant that for years she has not gotten pregnant after taking several treatments for fibroid and infertility and that how will a treatment that’s not even up to a month make her pregnant. We just convinced her to try and voila! She was pregnant! She got back to us with joy! 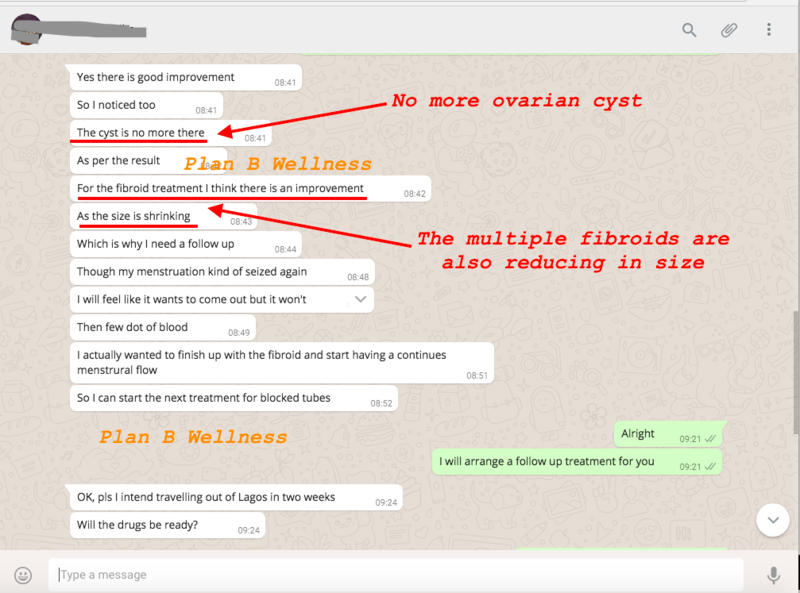 Since then, she has been sending messages to us to update us because her fibroids have not totally gone but her doctor has ascertained that the level it is now, the pregnancy can survive as the multiple fibroids she used to have have reduced to just a tiny one which wont affect the pregnancy. 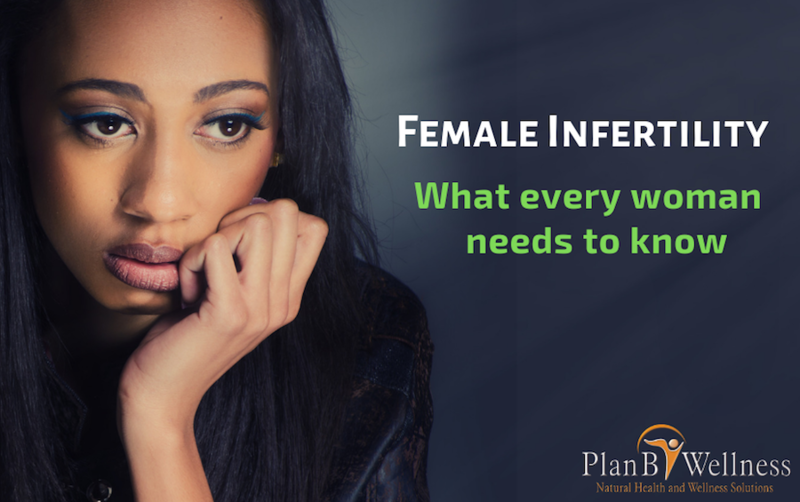 So, are you also currently suffering from fibroid and it’s symptoms? Are you under any pressure from your husband, family and friends for pregnancy? Do you also desire this kind of result? If you answer is yes, why not give our natural Fibroid Remedy products a trial today and see how your story will change just like this one too? Visit http://fibroidremedy.com/fibclear/ to have access to the same products this woman used and make your own order too. As usual, we will await your questions, comments and feedback and be rest assured that you will be appropriately responded to. PS – Will you like to receive our free tips and home remedies to get rid of fibroid naturally via your email? Click here to sign-up for it. Hello, I would like to find out the amount of the fibclear. If you do not currently have fibroid, there is no point taking FibClear. 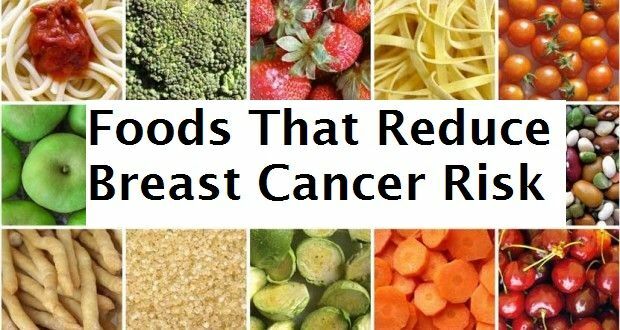 What you should do rather to prevent further fibroid growth is with your diet. You can visit https://www.planbwellness.com/fibroid-ebook/ to learn how to achieve this.